Indonesian citizen, 52 years old, joined the Company since June 1, 2006 appointed as Director in accordance with Deed No. 1 General Shareholders Meeting (“GSM”) and subsequently appointed as Vice President Director since August 12, 2011 until June 10, 2016 in accordance with Deed No. 73 GSM and Furthermore, on June 10, 2016 was appointed as President Director in accordance with Deed No. 73 GSM. Experienced as Manager of Finance and Accounting in PT Determinan Indah (1993-1999), as audit supervisor at the public accounting firm “Hans Tuanakotta & Mustafa” (1988-1992). Earned a Diploma in Accounting from Sekolah Tinggi Ilmu Ekonomi Indonesia, Jakarta in 1987, and Bachelor of Economics from Institut Bisnis Manajemen Indonesia (IBMI), Jakarta in 2001. Indonesian citizen, 58 years old, joined the Company in May 2003 until June 2006 as Director in accordance with the Deed No. 81 GSM. Subsequently rejoined on February 26, 2013 until June 20, 2013 as a Director in accordance Deed No. 87 GSM. Rejoined on June 10, 2016 and was appointed as Vice President Director in accordance Deed No.73 GSM. Experienced at PT Bumi Grafika Jaya as Director (1997-now), PT J asuindo Tiga Perkasa as Manager Representative Jakarta (1992- 1997), PT. Singa Djawa as Finance Manager and Production Manager (1989-1992), PT Sarana Aircon Utama as Finance Manager (1983-1989). Earned a Bachelor of Economy from Diponegoro University, Semarang in 1982. Indonesian citizen, 51 years old, joined the Company since June 5, 2015 appointed as Director in accordance with the Deed No. 13 GSM. Reappointment as a Director on June 10, 2016 in accordance Deed No. 73 GSM. Experienced as a Senior Supervisor at Drs. Bambang Sudaryono & Partners (1999 - to present), as Partner Tavip Consultant (2010 - to present). 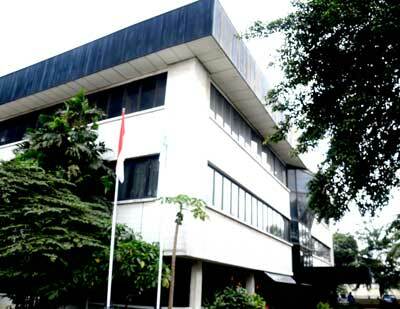 Earned a Diploma in Accounting from the College of Economics Indonesia, Jakarta (1989).